In this newly translated 1929 novel, a small community in Provence is forced to contend with internal strife and environmental catastrophes. 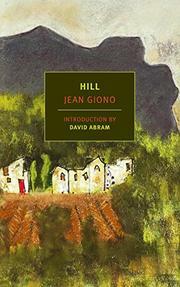 From its opening page, Giono’s short, powerful novel reveals the conflicts that run through it. The prose (and Eprile’s translation) is immediately terse and descriptive, setting the scene: a group of four homes, known as “the White Houses,” and the nearby fountain that provides them with water. Giono’s focus soon turns to a series of animals, their threat escalating until the appearance of a wild boar, which has itself been the target of a hunter’s unsuccessful gunfire. Here, the environment and the small group of humans dwelling within it coexist in uneasy balance—until, one day, they don’t. A series of catastrophes befalls the houses’ inhabitants. Janet, the aging father-in-law of Gondran (the de facto protagonist), falls ill early on, beginning with an episode in which he tells Gondran, “I have snakes in my fingers.” His strange, ecstatic meditations on the world continue throughout the rest of the novel, contrasting with the stark prose that surrounds them. Soon, larger threats rear their heads: the fountain dries up, and a blaze puts the villagers’ homes and their lives at risk. The elemental theme is conscious: from the first page, references to air, fire, water, and earth punctuate the novel. The end result is a harrowing work of fiction in which the potential for violence is decidedly real and clashes between men pale in the face of the natural world’s potential for devastation. Though this novel is nearly 90 years old, its sharp focus and uncompromising storytelling leave it feeling hauntingly timeless—a story of primal conflicts erupting into seemingly pastoral landscapes.